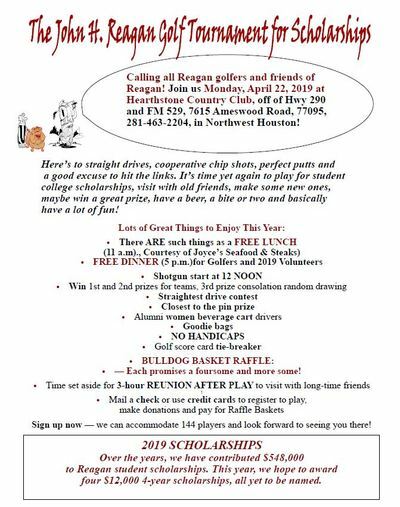 The 2019 Reagan Golf Tournament for Scholarships is quickly approaching. Save the date to join us on Monday, April 22, 2019 at the Hearthstone Country Club. This year is shaping up to be another exciting tournament with great golf, laughs, food, and prizes! They have space for up to 144 players, so challenge your friends to a round! See flier for details!